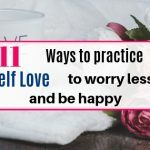 Self love can make you more happy and worry less in this competitive world full of stress triggers. Self care is important but you know what comes before self care ? It is SELF LOVE. It is a pure respectable love for your own internal self . 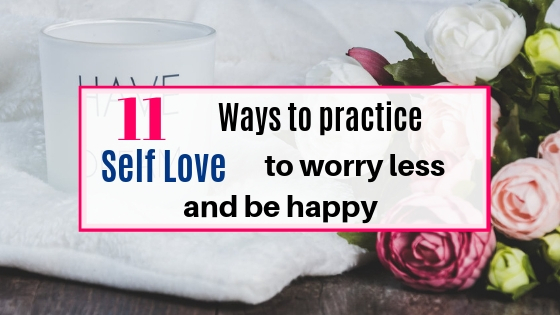 Self care comes so naturally to you after you learn ‘ How to love your own self ‘. 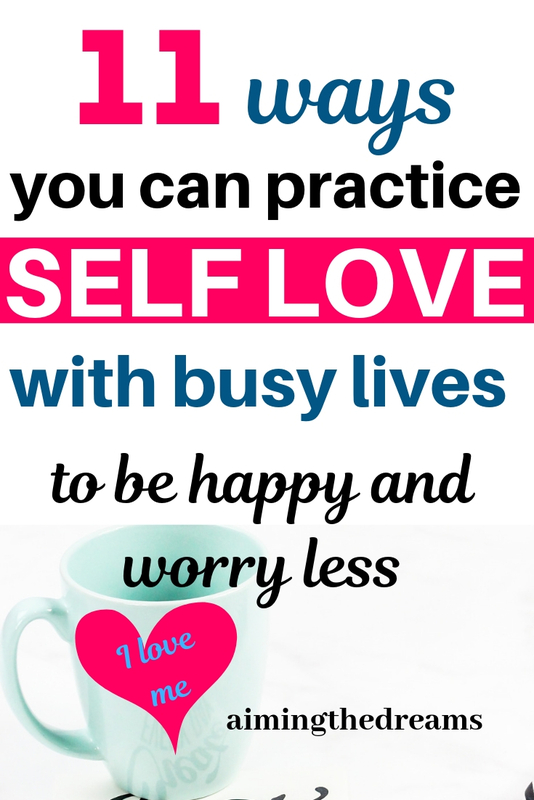 For being successful at anything, you need to develop a habit of self love and self care. I know, we all have to do multitasking. Looking after kids, house and the job leaves little to no time for our own self. But for caring for your own self, you need to start loving your self. What I feel is, Self love starts from counting your blessings. When you count your blessings, you start feeling happy about yourself as a whole human being. That internal happiness creates a connection where you want to appreciate and respect your self. Self love originates from this feeling of appreciation. Sometimes we find ourselves ingrained in the self sabotaging thoughts which creates low self esteem. These types of thoughts can be detrimental o overall health and your life. It is important to release any kind of negative energy which you hold in the realm of your deep thoughts. Self love creates a feeling where you accept your strengths as well as weaknesses. A gratitude journal let you believe in the blessings you have. Make a daily habit of writing a gratitude journal every morning for 5 minutes. Gradually your mind will shift from scarcity towards abundance. You will start a feeling of abundant blessings you have in life rather than concentrating on what you don’t have. This shift in mindset will make you believe that you are a genius with so many blessings and things you can do to live a successful life. You will be more inclined to concentrate on ore what you have rather than what you don’t have. It is important to be thankful for whatever you have. As humans, we have tendency of wanting more , daydreaming and thinking of those things which you don’t have. Days, weeks and months just pass away in these thoughts. Instead of thinking about something to happen which will give you happiness, Why not make it a habit to be happy ‘ NOW’. Now is the time for be happy about the blessings you have. Take a paper and write down your most precious gifts you have which nothing could buy. Bring back your senses and be happy now. Self talk helps you release all the negative thoughts which you have. After talking positively with your own self, you feel better. Start with ” There is something beautiful happening inside me ” and feel the good thoughts. Then start with all the good things you can say to yourself about your ‘own self ‘. And the best part of self talk is that no body is listening. You can say anything beautiful to you. Nutritious food is required for optimum working of body. Same way, positive thoughts are essential for optimum working of brain. Most surprising fact is that our brain easily falls prey to negative thoughts. While we have to train our mind to think positive thoughts and be happy about the things around you. Negative thoughts are the part of our everyday lives which comes naturally. It is fine to have some negative thoughts but if you feel like you are always engulfed in negative thoughts, then it is a problem which you have to tackle. Sometimes a problem can act as a negative thought. Analyse it and see if you can create a solution. There is so mush negativity around us. Everybody is going through some kind of negative situation. To counteract the negative effect of these negative situations, it is important to give sometime to your self for thinking only positive. Sit in a quiet corner of your house. If possible, make a place where you can keep objects that project positive vibes. Whatever comes to your mind, just think about the positive solution for any problem that comes to your mind and be optimistic. This way you will have positive frequencies around you. Negativity comes from many things. Relationships, memories, situations or from the thoughts of past. And it is normal to have negative thoughts because it is not possible to be positive always. But at the same time, you should learn to let go negative thoughts and the situations which brings negativity. If you feel stuck, go to therapist or talk to someone who can listen to your problem without being judgemental. Sometimes a disturbing past makes it difficult to move on and your thoughts seems to get stuck at one point. What I do for such kind of situations is give myself a day or some time to think about it and be unhappy. This way you don’t remain unhappy for always. I use blocking the time for grief period. I can understand every situation is different but you need to work on it. Because this life is not for being unhappy and spend your time on thinking about negative things. Spiritual development takes place when you start looking inside you. We are not only external body. There is much bigger and deeper realms inside us. This discovery begins with the spiritual development. Nourishing your soul and connecting your self with the higher power helps you in creating a beautiful internal environment required for self love. Oh yes, this one is really most important. If your body will not feel healthy and active, it will be difficult to concentrate on all the positive things. It is said that a healthy mind resides in a healthy body. Self love originates from mind and mind remains healthy with a healthy body. Sometimes a change in your circumstances makes you miserable but it should not be like this. You cannot chose your circumstances but you can definitely choose how to react to these circumstances. Learn to accept these circumstances and all the changes happening and be ready for the change. This will save you from sad feelings of change. This love is pure unconditional love. You don’t need to be certain skin type or certain body type to love yourself. You just love YOU. This unconditional love will let you take care of your self with beautiful thoughts and all the self care which you need for a healthy life. I can understand that it is really difficult to be always positive but finding a way to combat those negative feelings is the way to live a life of self love. Please share the post if you like it. I will be really thankful for this. 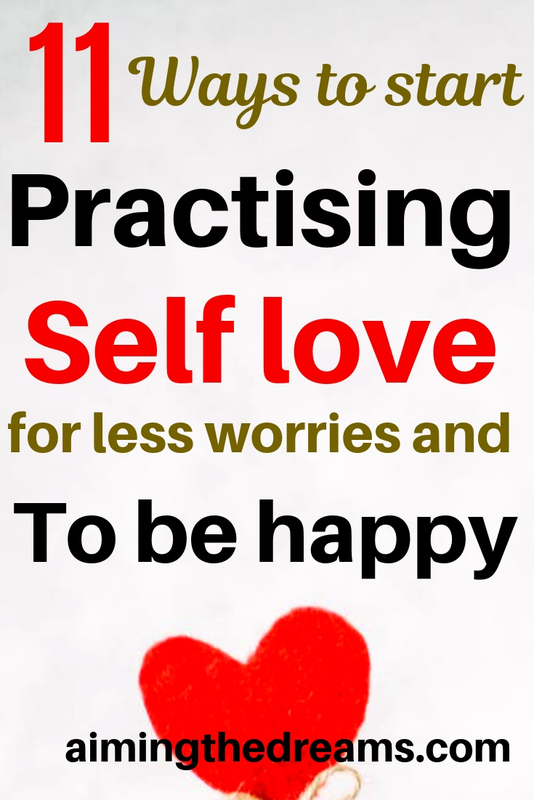 It may help somebody take a decision to start practising self love.